If your sense of adventure is calling, it’s time to listen. Your dreams of enjoying the majestic beauty and peaceful serenity of the great outdoors in comfort has just arrived. NuCamp T@B and T@G Teardrop Travel Trailers are stylish, ultra lightweight and versatile campers to make your outdoor adventure dreams a reality. 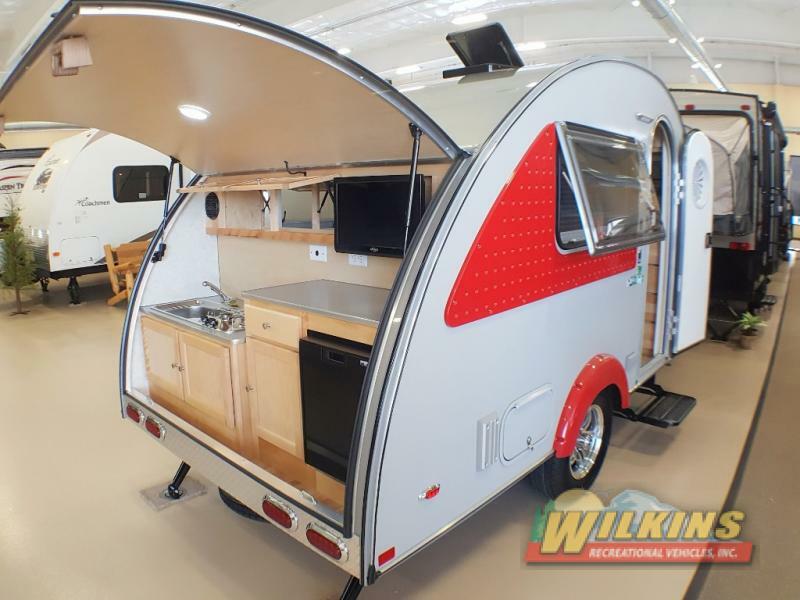 Starting at only $15,995, nuCamp Trailer for Sale at Wilkins RV offer nature lovers an affordable, comfortable, safe and stylish spot to relax after a day of hiking and exploring. 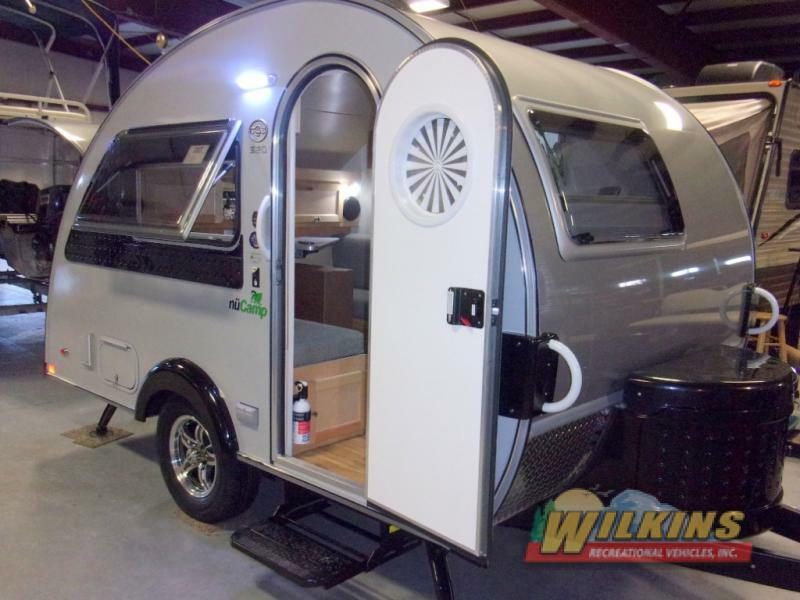 These unique campers are available at the Wilkins RV locations in Churchville, Victor, and Syracuse, New York. Here, we’ll take a look at both the nuCamp T@G and T@B trailer models so you can decide which nuCamp style suits your travel needs best. The unique and head turning good looks of the nuCamp T@B 320 is hard to beat. Available in a variety of floorplans, colors and accessories, the T@B 320 teardrop travel trailer is truly one of a kind. The T@B 320 teardrop camping trailer by nüCamp RV is the original T@B camper that started it all by Pleasant Valley Teardrop Trailers (now rebranded nuCamp). These popular campers weigh in at less than 2000 pounds, making them an excellent choice for campers with limited towing capacity. 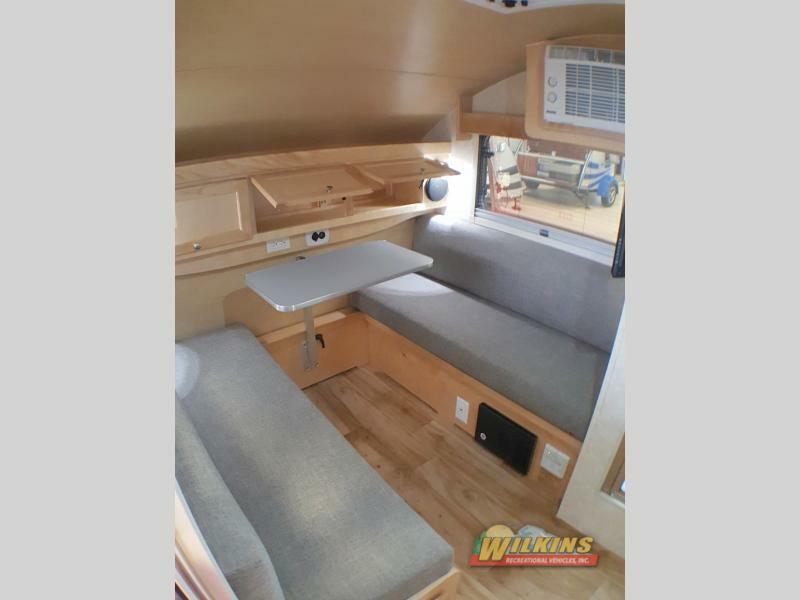 Floorplans such as the T@B 3 20CS-S model feature a rear hatch with a full outdoor kitchen perfect for tailgating, picnics, BBQs and gatherings around the campfire. With flashy exterior accents and colors like silver, red, blue and more, this retro style camper looks like a fun blast from the past reminiscent of the golden age of camping, but with a distinctly modern twist. T@G models are a lighter weight version of the T@B 320 which means that it can be towed by just about any vehicle with a hitch. Whether your future plans include a quick and easy weekend getaways or a cross-country trip, the T@G teardrop trailer will keep you comfortable, safe and happy wherever the road takes you. With the same snappy good looks, large window opening for extra light, plenty of creative storage space and durable construction, the nuCamp T@G is a hit! 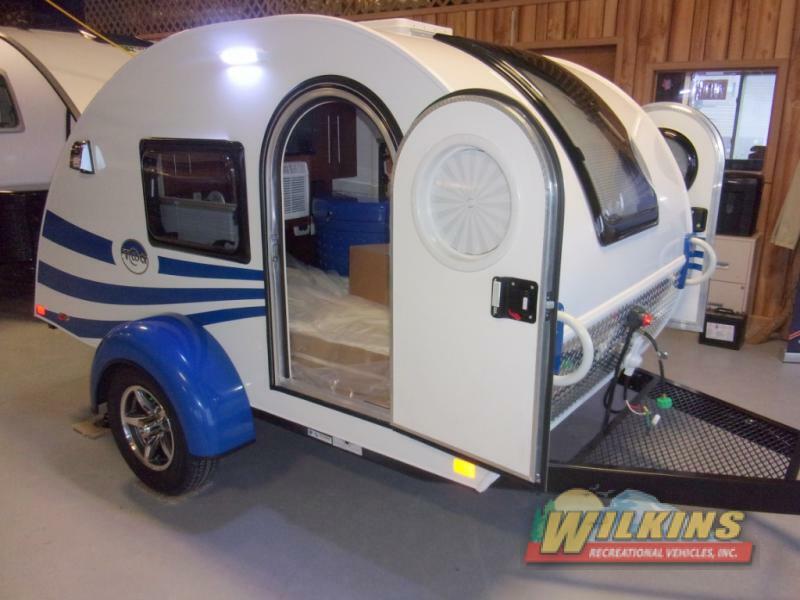 Contact Us at Wilkins RV to take a look at the super cool T@B or T@G Teardrop Trailers. We’ll help get you on the road to your next adventure in style!